Make Holiday Shopping Easy–Buy Scrip! 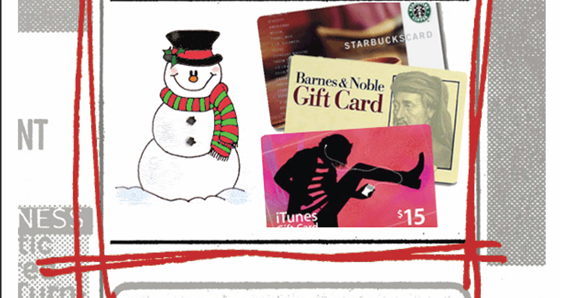 The holidays are almost upon us.Â This year, give the gift that gives twice withÂ SCRIP Gift Cards.Â See this link for a list of some popular companies who will give the school a donation when you buy a gift card.Â See this link (http://www.sesptsa.org/wp-content/uploads/2012/11/2012ScripOrderForm.pdf)Â for a list of companies donate to SES when you buy their gift card. Popular purchases last year wereÂ Starbucks, Old Navy/Gap, Macyâ€™s, REI, Powells, and many more.Â Thinking of a class gift for a teacher?Â This is the perfect time to order to ensure your class gets the perfect gift. Orders placed by the end of the school day on November 26th will be available for pick-up at the Scrip table on November 30th.Â Orders placed by the end of the school day on December 3rd will be available for pick-up at the Scrip table on December 7th.Â Place your completed order form with a check in the safe in the office, or hand it to one of your friendly SCRIP volunteers on any Monday, Wednesday, or Friday morning.